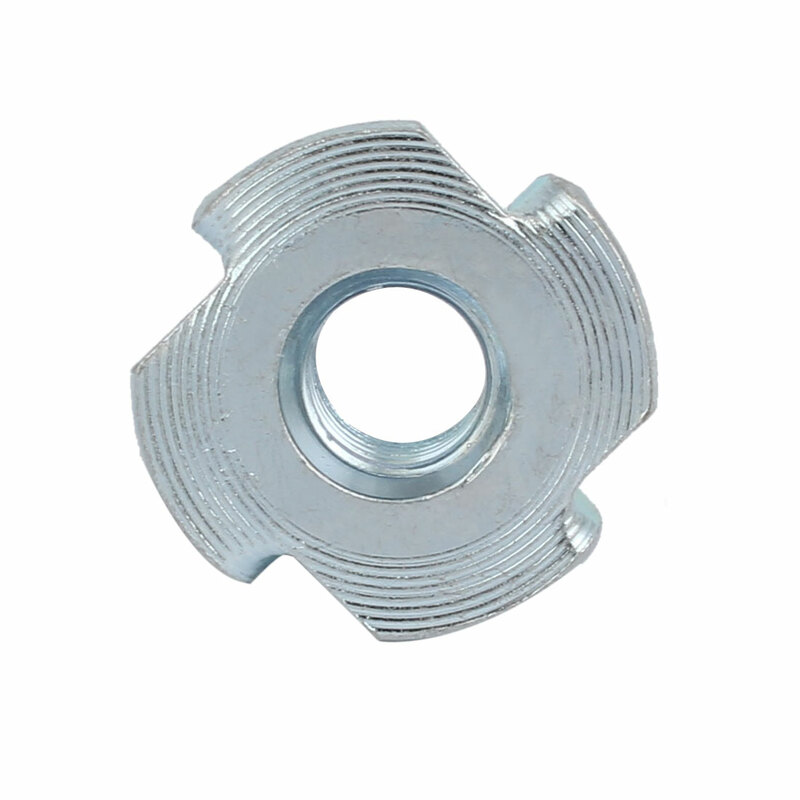 T-Nuts provide a strong, reliable and easy to fit low cost anchor for wood and chipboard. T nut inserted into the appropriate size hole and tapped in with a hammer. The 4 prongs will stop the T nut from turning when the fixing is being tightened.